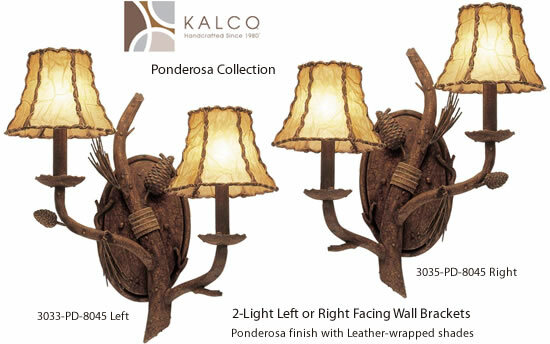 Nature comes to light with the rustic Kalco Ponderosa Collection, featuring pinecones, pine needles and branches of simulated bark. 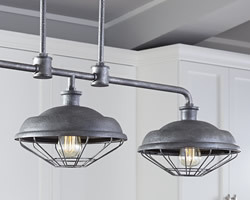 Never has solid iron looked so rustic. 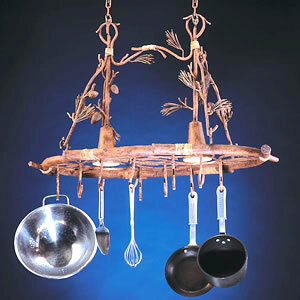 Featuring hand-wrought pinecones, branches and pine needles, each piece is as individual as an element of nature itself. 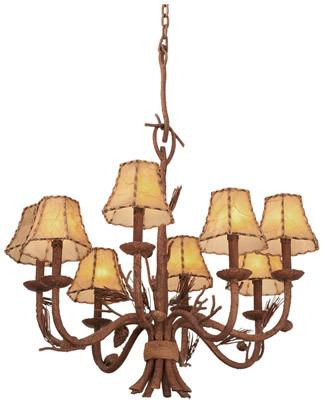 To complete the authentic feel, Kalco's craftsmen employ a rich, 14-stage finish that approximates natural bark in Ponderosa finish. 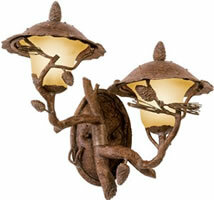 This Collection includes a complete line of indoor and outdoor lighting and furniture. 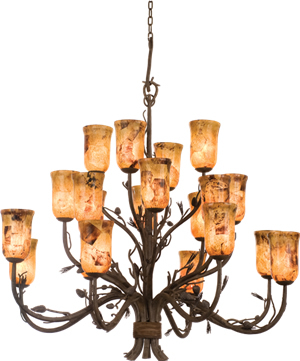 Optional Buckskin or mica chandelier shades are available or you may select from fabric shades or glass hurricane lamp shades. 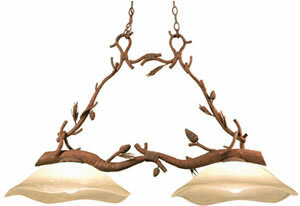 Some lighting is available with Calcite shades or your choice of glass or natural material diffusers. 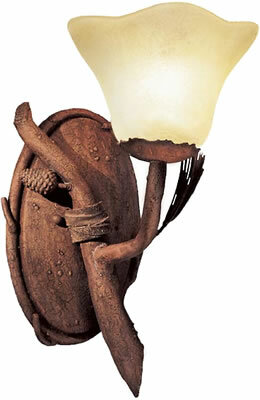 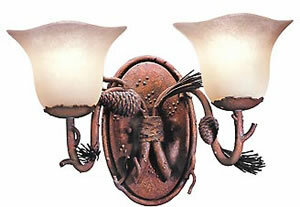 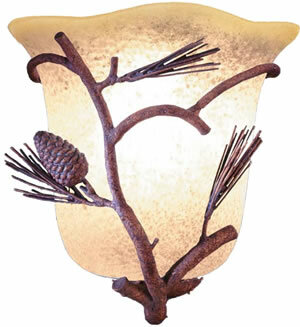 Dimensions: Width 10" Height x 10.5" e: 5"
Dimensions: Width 45.5" Height x 27" l: 20"
Lamping: (3) 60-watt candelabra base. 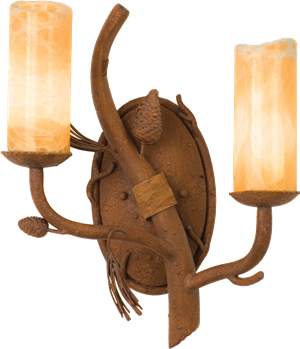 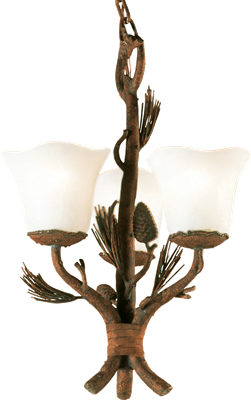 Dimensions: Diameter 22" Height x 22.5"
d: 5.5" x Height 4.75"
d: 7" x Height 5"
Lamping: (20) 60-watt candelabra base. 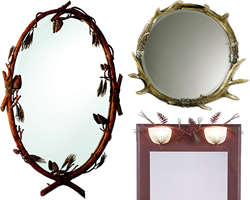 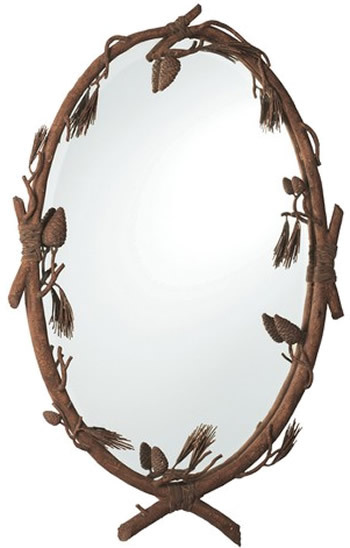 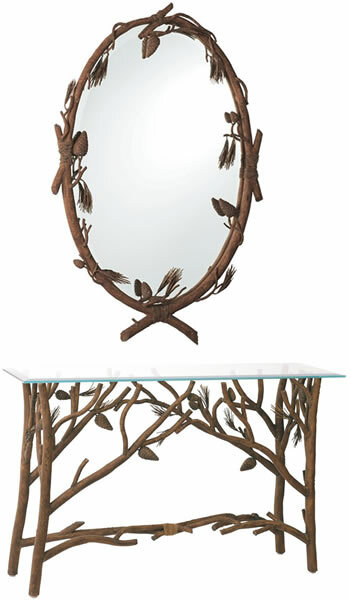 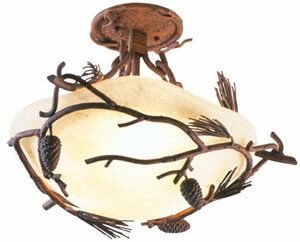 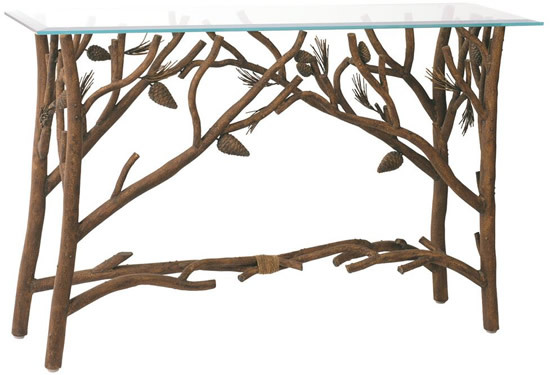 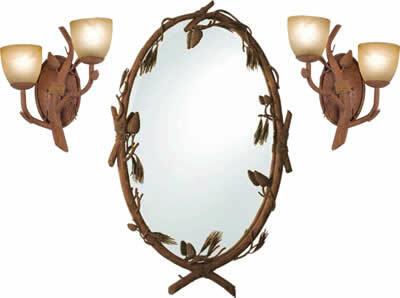 Nature comes to light with this rustic Collection, featuring pinecones, pine needles and branches of simulated bark. 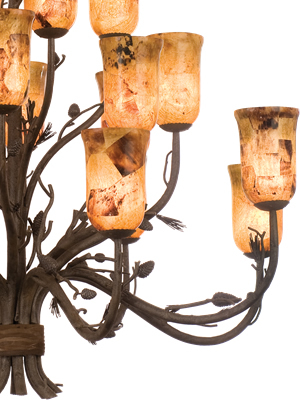 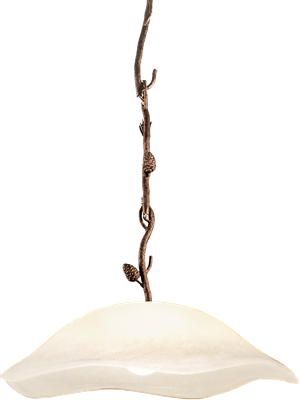 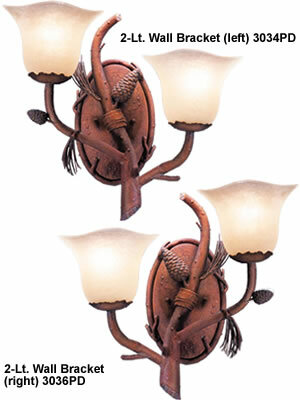 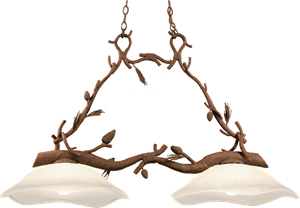 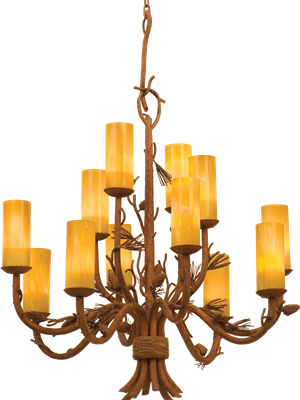 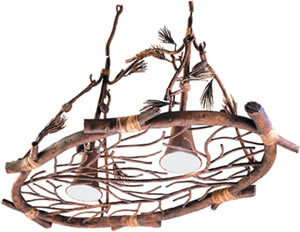 The Ponderosa Indoor Collection is a playful interpretation of traditional lodge lighting. 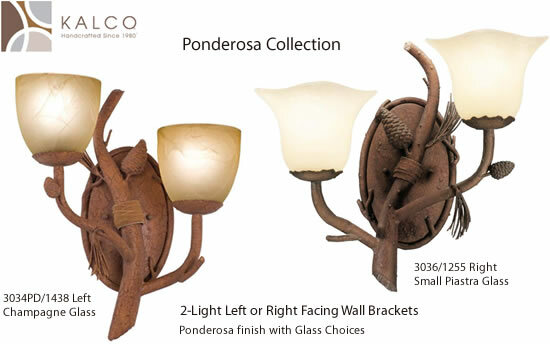 Featuring Kalcos exclusive Ponderosa finish and Faux Marble shades, the decorative natural elements these lanters combine with Victorian elements to produce pieces that are at once rustic and fashionable. 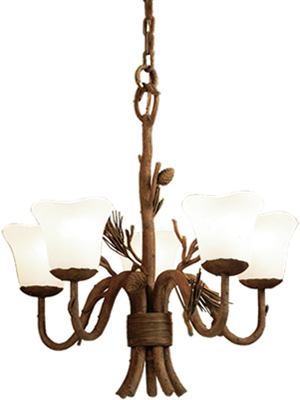 Dimensions: Diameter 26" Height x 28"
Dimensions: Diameter 34.5" Height x 34"
d: 3" x Height 7"
Dimensions: Diameter 60" Height x 54"
Dimensions: Diameter 19" Height x 15"
For decorative use only - not intended for spark arresting or high temperature use. 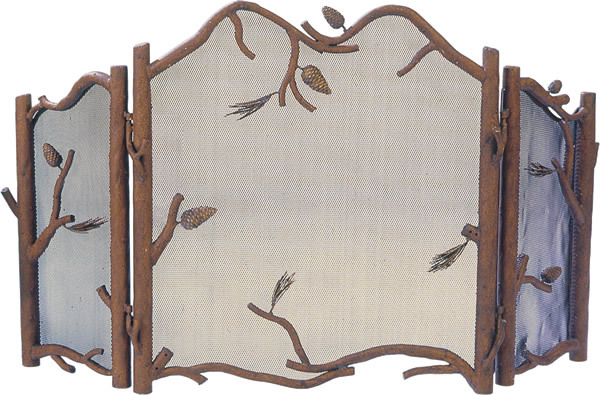 Dimensions: 20" Width x 16" H x 9.5" ext. 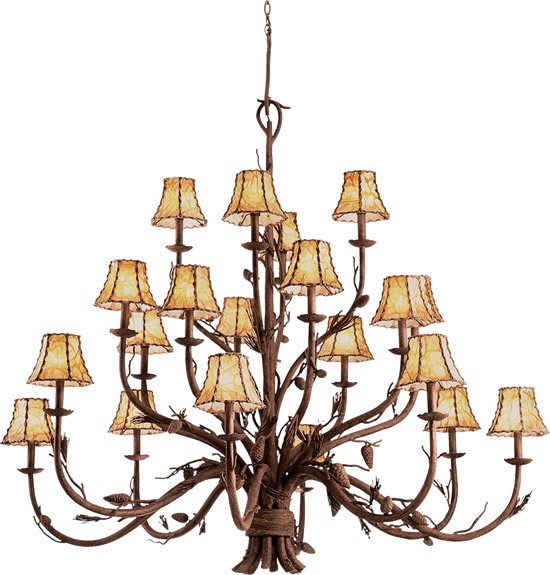 Lamping: (2) 60-watt candelabra base. 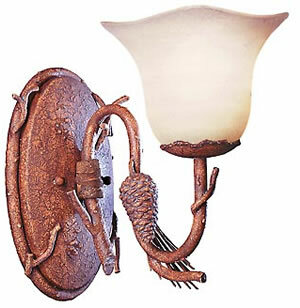 Dimensions: 7" Width x 14.5" Height x 9.5" ext. 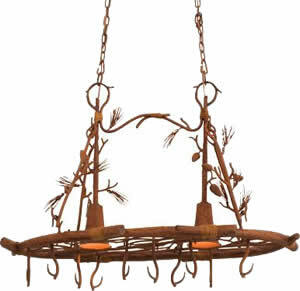 Dimensions: 20" Width x 16" Height x 9.5" ext. 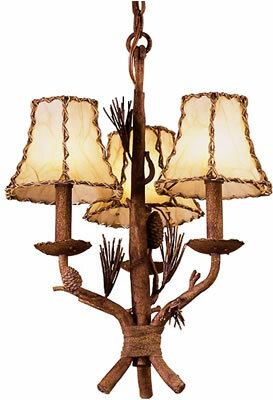 Dimensions with Calcite shades: w: 16" Height x 14.5" e: 10"
d: 5.25" x Height 5"
d: 6" x Height 5"